Does your wardrobe make you look and feel fantastic? Not sure what's age-appropriate or where to shop? Want to create a put-together look everyday? This step-by-step guide tells you how to choose colors, shapes and styles for polished presence to feel genuine, confident, and sensational inside and out. Hundreds of style tips, personal stories, client experiences, and industry experts contribute to help you dress for your dreams. Worth every penny! Great tips for now and the future, especially the closet "vision board" . I even purchased two copies later for mom & sister as impromptu gifts- they were well received (something they might not buy for themselves but genuinely appreciated). This book is packed with useful tips for all body types from a real professional at a fraction of a one-on-one consultation. I can easily browse a chapter at a time - when I have time. My closet (and my attitude) has dramatically changed for the better since acquiring this book ... and I haven't even finished reading it cover to cover! 5.0 out of 5 starsA must read for anyone wanting to feel good about themselves and make a good impression on others. 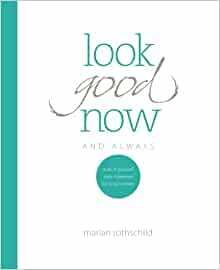 Thank you Marian Rothschild for putting together a smart, comprehensive, and witty guide book on how to express your inter-self with style. I believe you said it right when you said: "Personal style is one way to represent on the outside who we are on the inside". This book illustrates on many levels how taking pride in the way we look has a exponential effect on how we feel and how others feel about us. Looking Good Now and Always provides the insight, tools, guidelines and tips for establishing individual style based on personal preferences, appropriateness and professional mandates. A must read for anyone who wants to feel good about themselves and make a good impression on others. I was very fortunate in getting to know Marian during a consultation while trying to find a dress for my sons wedding. I now feel very fortunate that I have a reference guide in her new book also. Her suggestions and comments live with me on a daily basis and I am so glad that I found her! She is truly like a fairy godmother! Everyone , men and women need to make this their fashion bible! I took lots of notes and acted on her recommendations. What an influential author! Great information presented in an easy to read format. Full of practical tips that are easy to implement but will make a huge difference in your appearance and confidence. 2.0 out of 5 starsQuite basic and rather odd! I don't know how other customers came to give this book five stars. I think they must be friends of the author or publisher! And, incidentally, it does seem to have been self-published on the cheap, which is a definite minus. Problems I have with this book include first, there are absolutely no color photos at all! A serious omission in a style book which talks about color! There are a few rather unclear black and white snapshots inserted next to the text, and that's all. A real problem when you are trying to visualize what a color is like, or what a style would look like on a real person as opposed to a small black and white photo. Second, the text is really basic and didn't tell me anything I didn't know. I hoped I would learn more about expressing my own style in the clothes I wear. I have worked through the Style Statement book, which is excellent, and have come up with my statement key words, but I wanted concrete help in choosing clothes that would express this look in everyday life. Well, guess what - zilch here! Just a short questionnaire, which again is very basic, and doesn't give any advice or hints at all in how to select clothing that will embody your chosen image words. What good is that? And as far as Ms Rothschild's color theory goes, she's seriously off base here. She says it's only the color of your hair that counts! And this is nonsense. All your coloring counts - your eyes, your skin and your hair all seen together. You need to find your color type based on all these factors. The Sci-Art system admittedly uses only the skintone as a guide, but this is much more useful than using the hair color, as this book does. You can always change your hair color, and if you have, it isn't a guide at all as to your own basic coloring. What you need to know is your season, and then which hair colors look best with that. Here, some color photos are essential, but without them I found this book's color section absolutely useless. I also don't get the over-emphasis on wearing pants (trousers to Englishwomen like me) all the time. Do American women not wear skirts any more? I never wear any kind of trousers except old jeans for gardening. They don't suit my style or my body shape, but there's not much advice for me in this case, except that pencil skirts just above the knee could look good. Yes, they could, but I already knew that, and what about other lengths? I love ankle-length maxis, and there's nothing at all about them. As for the advice on age-appropriate dressing, which I had hoped would be useful, you can forget that, too. The book says just don't look vulgar and don't show lots of skin. We all know that, I guess, but hey, I really don't see why an older lady shouldn't channel her inner Dolly Parton if she wants to! Go for it, if you are retired and love country music, or whatever else turns you on. Be free. Express your inner essence - isn't that what this book was supposed to be about? Instead, it's all about fitting in and looking approprate, and consequently very boring. My advice: don't buy it, get the Style Statement book instead plus any Color Me Beautiful books, and you'll be well away! I was much dissappointed because expected that she would write, by recommending many dresses, there will be no difference whether or not they are bought or rented. I look foward to hearing her answer. 5.0 out of 5 starsLearned so much! So helpful! Thanks to this book I have learned how to stop spending money on clothes that I "think" looks great on me in the fitting room and then when I come home, I don't feel good in it and hardly wear it. This book helps those of us who want to look great understand some very basic tips in a very straight-forward and honest manner. The most valuable chapter to me was Ch 3 which lists your body type and exactly what styles flatter your figure and more importantly which do not. I never realized that being petite I should avoid cropped pants and short jackets! There are so many quick and easy tips that I have applied to my wardrobe. I feel much more confident that I am shopping for flattering pieces and spending my money wisely. After all, I'm on a budget like most of us and I want to make the most of my purchases. I made a copy of the section in Ch 3 that is pertinent to my body type and keep it in my purse when shopping to keep me on track. 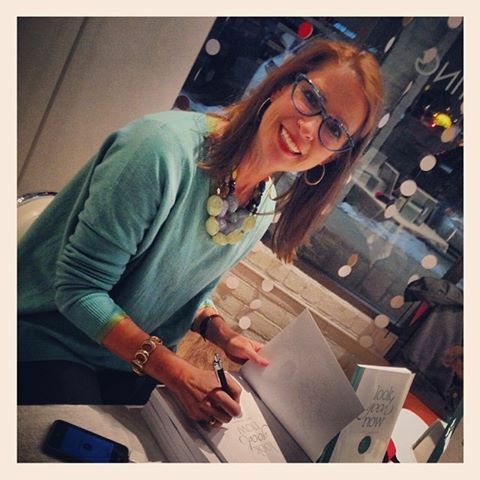 Marian's book is lighthearted, fun and easy to read. I read it in 2 days. It's jam packed with valuable information and things that we really need to hear, like the truth about shopping in the junior department and the clearance racks! There are some thought provoking things in her book and a few easy exercises to do. I recommend this book to anyone who wants to stop wasting $ on clothes that are not flattering to you and to learn a few secrets on how to accent your beautiful features.